The following map identifies sites within the City that would permit Secondary and Major Office, based on Mississauga Official Plan's land use designations. The accompanying table outlines where these uses are permitted as existing uses, permitted uses and where they have been removed as a permitted use. "Focus on Mississauga 2012" addresses the monitoring requirements of the Mississauga Official Plan (2011) as it pertains to the Downtown, Major Nodes, and Community Nodes and in accordance with the requirements in the Regional Official Plan and in the Province of Ontario's Places to Grow Growth Plan. This information is intended to assist in the development application review process and to provide an atlas of information for the public and development community with respect to population, housing types, office, business and land use. Click here to access Peel Public Health's support for the active lifestyle andhealth promoting activity policies in Mississauga's Draft Official Plan. The PDC report dated December 14, 2010 titled "Proposed New Mississauga Official Plan  Requested Modifications" noted that a number of revisions to maps and schedules were required to correct minor boundary adjustments and to provide consistency amongst the maps, figures and schedules. This table and associated figures, maps and schedules outline in detail the proposed adjustments. An executive summary has been prepared to provide highlights of the Proposed new Mississauga Official Plan (City Council adopted September 29, 2010). Mississauga Plan, the City's current official plan, was approved by the Region of Peel on May 5, 2003. Section 26(1) of the Planning Act requires Council to consider the need for a review of the official plan every five years. This was done on May 9, 2007 at which time Council approved a work program for the review of the Mississauga Plan. In addition to the studies being prepared by other City departments, the review was to consider provincial initiatives, particularly the policies of the Growth Plan for the Greater Golden Horseshoe (Growth Plan). Conformity with the Growth Plan was required by June 2009. In order to meet this deadline, work on the Mississauga Plan Review was delayed to prepare Official Plan Amendment 95 (OPA 95). OPA 95 was adopted by Council on June 10, 2009 and approved by Regional Council on December 10, 2009, except for policies relating to the growth forecasts. OPA 95 has been appealed by Azurla Group, Berkley Homes, Gemini Urban Design (Cliff) Corp., Orlando Corporation and Solmar Development Corporation. Official Plan Amendment 95 - Conformity of Mississauga Plan to the Growth Plan for the Greater Golden Horseshoe. April 12, 2010 Open House, 5:00 pm to 8:30 pm at Frank McKechnie Community Centre, Lobby Area, 310 Bristol Rd. E.
April 13, 2010 Open House, 3:00 pm to 5:00 pm and 6:00 pm to 8:00 pm at Clarke Memorial Hall, 161 Lakeshore Rd. W.
April 14, 2010 Open House, 6:00 pm to 8:30 pm at John Fraser Secondary School, Cafeteria, 2665 Erin Centre Blvd. May 4, 2010 Open House, 5:30 pm to 8:30 PM at Clarke Memorial Hall, 161 Lakeshore Rd W.
Planning reports include reports that are presented to the City Council, General Committee and Planning and Development Committee (PDC) by the Planning and Building Department, Policy Planning Division. City Council adopted the Proposed new Mississauga Official Plan on September 29, 2010. In accordance with the Planning Act, the Plan has been forwarded to the Region of Peel for approval. The Region has 180 days to issue a Notice of Decision at which time those who have requested notification of approval of the Plan will receive notice and appeals can be initiated. Planning Studies are required to bring Mississauga Plan into conformity with provincial plans or are necessary to address significant emerging issues in a comprehensive manner. These studies will result in reports to Planning and Development Committee and may also require public consultation (e.g. Growth Management Strategy). The public is welcome to comment on these planning studies as they are released. 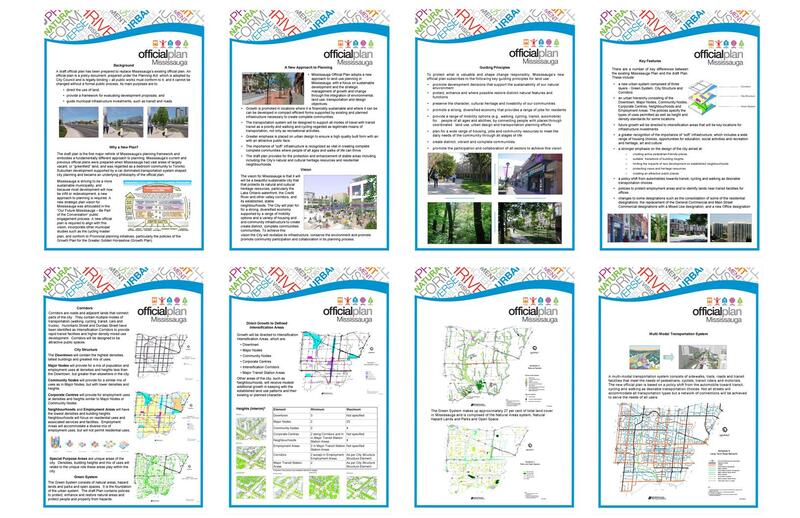 Click on the reports (underlined text) to access the planning studies currently available. Local Area Plans/Character Area policies address unique circumstances particular to a specific area. These policies must be read in conjunction with Mississauga Official Plan. Local Area Plans/Character Area reviews are undertaken periodically to update the policy framework in place and address local issues. To see what reviews are currently under study, click here. Corporate Studies are major initiatives underway or to be undertaken by other Departments that may have a bearing on Mississauga Plan. These initiatives (e.g. Strategic Plan update) will provide the broad framework for the official plan. On April 22, 2009, following the comprehensive public engagement process Our Future Mississauga Be part of the conversation, which connected with over 100,000 people, Council approved a new Strategic Plan comprised of a Vision Statement and five Strategic Pillars for Change. Within the Strategic Plan, each Strategic Pillar for Change is connected with specific action items that will propel the Strategic Plan forward. These key action items are outlined in the Strategic Plan's Action Plan - a complementary document that includes key indicators, targets, actions and funding options for each Strategic Pillar for Change. The Vision Statement articulated in the Strategic Plan depicts what the City will resemble in 40 years: Mississauga will inspire the world as a dynamic and beautiful global city for creativity and innovation, with vibrant, safe and connected communities; where we celebrate the rich diversity of our cultures, our historic villages, Lake Ontario, and the Credit River Valley. A place where people choose to be. Mississauga's Official Plan, known as Mississauga Plan, was adopted by City Council in July 2002 and approved by the Region of Peel in May 2003. Since that time, the need for amendments to the Plan has emerged. Most of the proposed amendments are in response to the Comprehensive Zoning By-law Review currently being undertaken by the Planning and Building Department. These amendments are being made to establish the policy framework for the new zoning by-law. Some other changes resulted from City Council adoption of an Accessibility Plan, the approval of new Provincial Policy Statements, incorporation of policies regarding commercial schools, clarification of the intent of several policies and other 'housekeeping' updates. The Official Plan Amendment, known as OPA 25, contains over 620 recommendations that have been adopted by City Council on May 23, 2007. The by-law adopting OPA was passed by City Council on June 20, 2007. The last day to appeal all or part of OPA 25 to the Ontario Municipal Board was July 17, 2007. A total of 13 appeals to OPA 25 were received. At the first prehearing, held on Sept 10, 2007, the Ontario Municipal Board dealt with a global Official Plan appeal and issued an Order confirming that OPA 25 and the new comprehensive Zoning By-law (0225-2007) were in effect. The in effect date for By-law 0225-2007 is June 20, 2007 and September 10, 2007 for OPA 25, save and except for the pending site specific appeals. A second prehearing is scheduled for 5 days in January 2008 to deal with motions to dismiss, motions by other parties, the organization of the appeals into various streams and other matters. Further hearings will be scheduled to deal with the remaining site specific appeals. Featured Article - OPA 25 - Corporate Reports, provides a link to all the Corporate Reports presented to Planning and Development Committee and Council in support of OPA 25. Featured Article -OPA 25 - Text, this artilce will provide access to a large PDF document containing the complete text of OPA 25 that was presented to City Council on June 20, 2007. To access a scanned version of the original appeal document, please click on the corresponding Number. To refererence the status of the appeals, please refer to the Appeals section of Zoning By-law 0225-2007. The following Corporate Reports have been submitted to Council in conjunction with the proposed amendments to Mississauga Plan. Some Corporate Reports correspond to an Appendix, also displayed in the table below. Appendices contain all comments received and proposed recommendations. The initial report titled "Proposed Amendments to Mississauga Plan" was considered by Planning and Development Committee (PDC) on January 10, 2005. Appendix 1 accompanied the report and contains the initial proposed amendments.This report and appendix was circulated for review and comment. The second report titled "Proposed Amendments to Mississauga Plan - Supplementary Report" was considered at a public meeting on January 9, 2006. Appendix 2 contains additional proposed amendments and recommendations.This report and appendix addresses comments received from the circulation of the January 2005 report and a series of 19 community meetings. The third report titled "Proposed Amendments to Mississauga Plan - Report on Comments" was considered by PDC on April 3, 2006. Related proposed amendments are outlined in Appendix 4. The fourth report titled "Proposed Amendments to Mississauga Plan - Further Comments" was considered by PDC on September 18, 2006. Appendix 6 contains related comments and proposed amendments. The fifth report titled "Proposed Amendments to Mississauga Plan - Additional Comments" was considered by PDC at a public meeting on April 30, 2007. Appendix 7 contains related comments and proposed amendments. A report titled "Additional Matters arising from Public Meeting of April 30, 2007 - Proposed Amendments to Mississauga Plan and New Zoning By-law - City of Mississauga - Addendum Report" was deferred by City Council on May 9, 2007 and reconsidered on May 23, 2007 when all the recommended Official Plan amendments were adopted. A report titled "Additional Matters arising from City Council Meeting May 23, 2007 - Proposed Amendments to Mississauga Plan and New Zoning By-law" was considered by City Council on June 20, 2007. The by-law adopting OPA 25 was adopted by City Council June 20, 2007. If you have questions, please contact Teresa Kerr of our Policy Planning Division at (905) 615-3200 ext. 5732 or email teresa.kerr@mississauga.ca. The document referenced below contains text of Amendment No. 25. The text amends the various Sections and District Policies of the Mississauga Plan. Two types of maps are associated with OPA 25; Schedules and District Land Use Maps. Schedules are maps that deal with topics applicable to the City as a whole, such as the identification of environmental areas. District Land Use Maps can be used to find the Official Plan designation of specific properties. 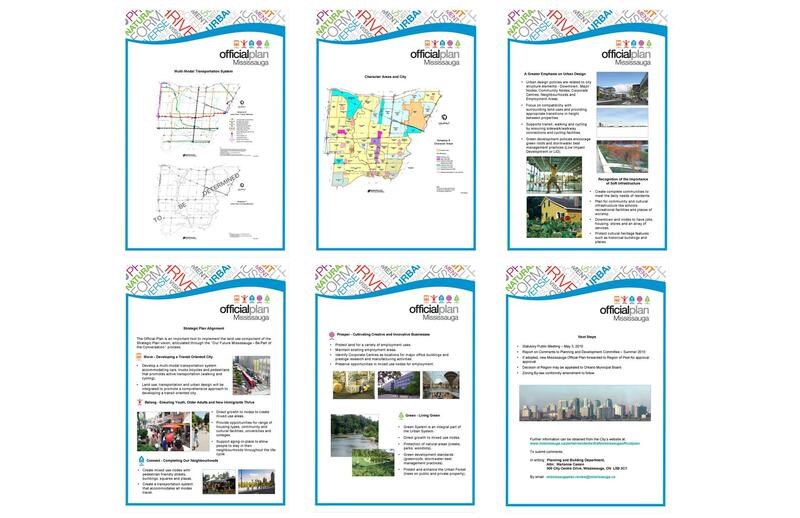 The Schedules and District Land Use Maps associated with OPA 25 can be found at the bottom of the previous web page. The Schedules and District Land Use Maps indicate the proposed amended designations numbered in the associated tables. Also attached to Amendment 25 are Appendices I, II, III and IV. Appendix I to OPA 25 is a description of the Public Meetings held in connection with thisAmendment. Appendix II to OPA 25 is a copy of the Planning and Building Department report dated May 14, 2007. Appendix III to OPA 25 is a copy of the Planning and Building Department report dated May 7, 2007. Appendix IV to OPA 25 is a copy of the Planning and Building Department report dated April 10, 2007 which includes Planning and Building Department reports dated December 14, 2004, December 13, 2005, March 14, 2006 and August 29, 2006, all pertaining to this Amendment. to implement various minor housekeeping amendments. Most of the proposed amendments implement various minor housekeeping modifications and/or were in response to the Comprehensive Zoning By-law Review which was conducted in conjunction with this amendment.